The Hariri ‘kidnapping’ by Riyadh is generating more fake news and is only succeeding in boosting his popularity in Lebanon. But did a Saudi prince and Trump’s son intend on making him a bedroom poster icon in their quest to vex Hezbollah? The recent news that Rex Tillerson, the US secretary of state has urged Lebanon’s prime minister to return to Lebanon is baffling, in a story which is surely heading toward Hollywood scriptwriters any day now. 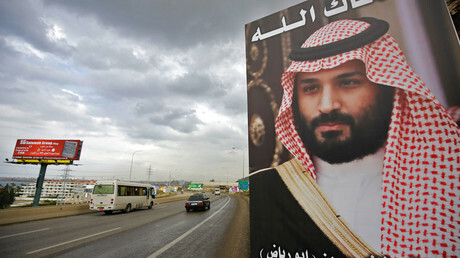 On the same day as Saudi Arabia’s Crown Prince Mohammed bin Salman (‘MbS’) began his purge of just about anyone who could question his leadership – or bankroll a campaign to topple him once he takes the throne – Saad Hariri’s jet touched down in Riyadh, and he was swiftly surrounded by Saudi police who took all the phones off him and his entourage. In the following days, no one knows his true fate after he read a script announcing his immediate resignation as Lebanon’s prime minister, citing implausible reasons such as attempts to assassinate him. In one week, regional journalists, mainly aligned to Saudi Arabian interests, have had a field day speculating on what is going on. No one really knows, not even European heads of state or least of all Rex Tillerson, who is under the allusion that Hariri is in control of his own fate. 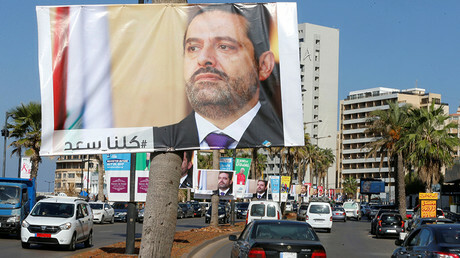 Analysts are divided into two camps over what the forced resignation is really about, which followed a knee-jerk reaction from those in Lebanon who believed it was all a theatrical ploy to get Hezbollah to agree to Hariri’s proposed cabinet of ministers. As time passed, the two camps’ theories evolved into the move being orchestrated by MbS to show Iran that it is still powerful, using the Hariri resignation as a tool to re-balance the Saudi-Iran pendulum of geopolitical spoils. The second theory is more about Saudi Arabia itself and what the new crown prince is doing there. 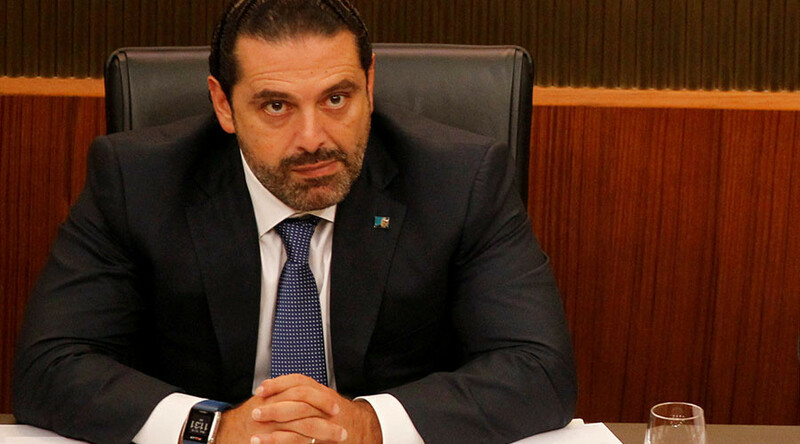 Many believe the Hariri resignation – which came on the same day as the round up of 11 princes, four ministers, and billionaire Nasser bin Aqeel al-Tayyar, is part of the crackdown, as Hariri himself is suspected of links to many of the businessmen targeted. Some speculate the crown prince is investigating him and is considering charging him – and therefore needs him to lose his immunity from prosecution, which he held as Lebanon’s PM. The theory, analysts tell me, is that Hariri needs to be kept on a short leash until he can be entirely cleared and also needs to prove his undying loyalty to MbS and his father. Yet if the plan by MbS is to use Hariri to extract some token payment from Iran, the plan is already back-firing on a grand scale and like many of Riyadh’s schemes – Syria, Yemen, and Qatar – is comically ill-fated. In one week of Hariri being in Saudi Arabia, the Lebanese PM has achieved more in unifying the Lebanese than he could ever have hoped for in a lifetime of politics. Surely the Saudi’s ruse did not intend for Hariri to gain cross-party popularity in a country so sternly and insidiously divided by confessional lines? In just a week, Lebanon’s leading figures have quickly reached a consensus that they need Hariri back, a point echoed by Hezbollah chief Hassan Nasrallah, who is looking increasingly statesmanlike as the days pass and whose calm, measured speeches are now being watched by the entire country – thanks to Riyadh’s cunning plan. Qatar-Saudi spat threatens Riyadh’s influence. But what are the Saudis really worried about? Could it really have been the Saudi Crown prince’s plan to boost Hariri’s popularity and make the Hezbollah chief’s speeches unmissable? One has to wonder who or what is really behind this plan. Many pundits are troubled by how aloof Tillerson is to the reality of what’s happening. It’s as though the US really isn’t on the same page. And there’s a reason for this. It’s my belief that Trump has almost entirely outsourced the Middle East to his son-in-law who is behind this latest gambit in Lebanon. Just a few weeks before Jared Kushner was in Riyadh to spend time with MbS. The Hariri plot is part of a whole new relationship between Saudi Arabia and Israel, who are both working hand-in-hand on a new strategy to destabilize Iran. Lebanon is a cheap shot for that. Low hanging fruit. After failing in both Syria and Yemen, where else could an easy spoil be gleaned, by taking a swipe at Iran’s feared proxy Hezbollah? But the stunt comes with a very high price to pay when – not if – it fails. If the Lebanon shenanigan goes awry and it makes Hezbollah even more popular there, does that dampen the ambitions of MbS and Kushner to hit the Shiite group or merely guide them like moths veering closer to the alluring flame? Perhaps the answer can be found with Trump. For us to understand truly what is going in the head of the Saudi prince, we should wrestle with two points. First, his rapid rise to the seat of the crown prince is entirely due to him presenting himself to both the Israelis and the Americans as a new type of Saudi leader who could recognize the state of Israel if he was made king, which explains this new partnership unraveling so quickly. Secondly, one of the reasons why Trump likes MbS much is that the Saudi prince can be so easily understood by Trump. MbS is the Trump of Saudi Arabia. Like the US president, the crown prince is insecure, obsessed with control and seems determined to be on the front pages of newspapers – regardless of the consequences. Like Trump, he also has no regard for the media and is deluded about himself and his own abilities, particularly beyond the borders of his own country. In a country known for being an irony-free zone, it’s also interesting to observe how the obsession with hitting Iran is a vicious circle or a sword which the Saudis have slowly lowered themselves onto; Saudi Arabia’s meddling in the region has only made Iran and Hezbollah stronger in the last five years. Understandably, Riyadh now looks to Israel as a partner in settling old scores, but it all adds up to sour grapes and now apparently both Saudi Arabia and Israel have one chief and self-defining objective: to claw back self-respect and reinstall the pride lost, through defeats with Iran and its proxies. 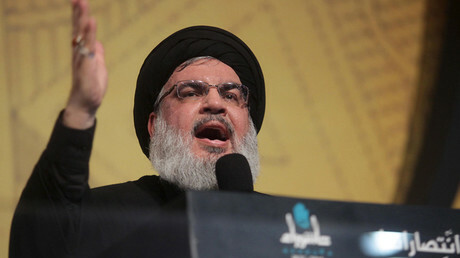 They both now look at Hezbollah in Lebanon and see a war which could hurt the Shiite group could be a major victory to re-write the history books. Another irony about the Hariri story is that it is due to the collapse of the Saudi economy, which hurled Hariri back into politics in Lebanon after the Saudis couldn’t pay Hariri’s construction company the $9 billion it was owed. And MbS is credited as being the “architect to Saudi Arabia’s oil policy” which reveled in the over-production of oil, leading to rock bottom prices today as it was his idea to counter US fracking companies. Another bullet. Another foot. Another spasm of delusion and denial. Of course, it’s not only Saudi aligned journalists who are sexing the whole Lebanon story up beyond its true significance. US mainstream media, like the New York Times, just can’t help itself on indulging in using the word “war” in many of its misleading headlines, raising an obvious question: is there now a new dynamic which could speed up the inevitable war between Israel and Hezbollah? The answer is probably not in the short term. 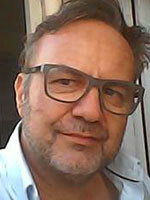 While Lebanese academics like Dr Jamal Wakim stake their reputations on saying that Israel will invade Lebanon in the next 12 months, the Saudis believe an economic blockade of Lebanon would have much more effective results on destabilizing the country and causing chaos which could then weaken Hezbollah internally, thus providing the perfect moment for Israel to strike, if Hezbollah is forced to take control of Lebanon. It’s a hell of a gamble though. And already looking like it can’t work as, historically, the Lebanese have always supported Hezbollah when the country is threatened. They are not stupid and can already see that imposing a financial crisis – by trying to starve the economy of trade and remittances from outside – is an act of war in itself. But the Middle East is a region consumed by fake news and checkbook journalists and those in the West who only give the crisis a cursory look might be fooled in believing the planted narrative that “Hezbollah has declared war on Saudi Arabia,” which many newspapers dutifully and shamefully published. Hezbollah’s mere presence, let alone military strength is enough to spook the Saudis. This is clear. The smartest thing MbS and Kushner could do now is to deflate the balloon on Hariri becoming an iconic bedroom poster like Che Guevara before it’s too late and send him back to Lebanon to negotiate a deal, as surely he will achieve much more in Beirut than he can ever in Riyadh. But Tillerson also needs to intervene, rather than merely warn against the Saudis creating a proxy war in Lebanon before it’s too late, and the Saudis pull the entire region into a new war which can never be won, and Saudi Arabia and its new ally certainly can’t afford to lose. Who knows? One day we may start even believing the click bait masterpieces of the New York Times. But don’t hold your breath.